Here is How You Can Turn Scuba Diving Into a Successful Dive Careers? I am a dive professional, has a nice ring to it doesn’t it? Teaching scuba is an ambition for many divers, some follow the path while others turn to a “formal” job as the “reality” of life sets in. What jobs can you get with a scuba certification? Wherever you decide to take dive careers, remember that the most important thing is to get started. Without experience it will be hard to go very far in your new career. But experience is waiting for you everywhere there is water from lakes to rivers to aquariums to oceans! Good luck! 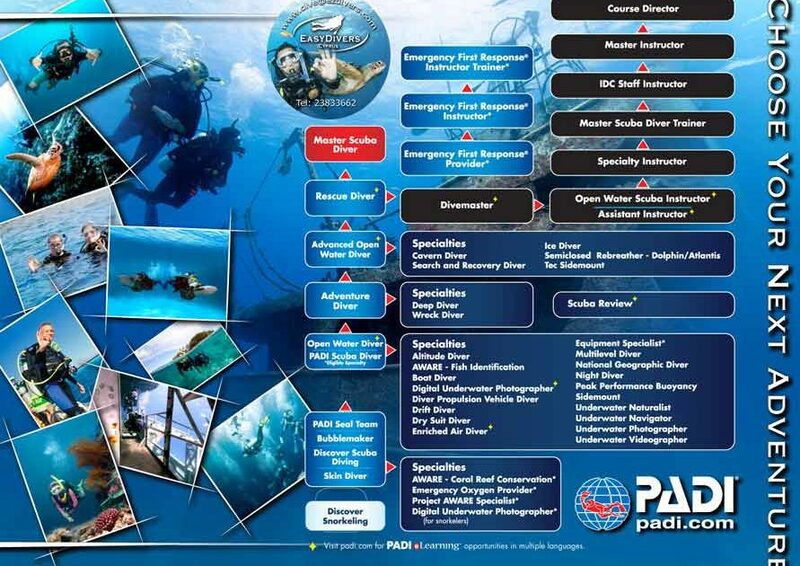 Padi Scuba Internships in Europe with Easy Divers Cyprus, Drop us a line or give us a call. We will be happy to tell you all about it! !